Do We Need Antifungal Stewardship? 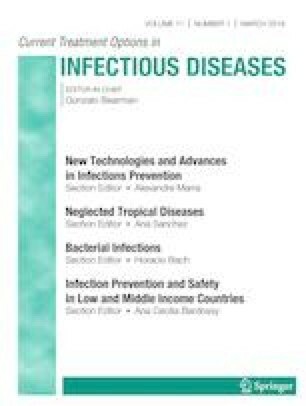 Invasive fungal infections (IFIs) are recognized as a significant health problem worldwide. Inappropriate use of antifungals contributes to antifungal resistance and emerging fungi. There is an urgent clinical need to limit inappropriate antifungal usage through judicious antifungal stewardship (AFS). The main goals of AFS are optimized care, de-escalation or withdrawal of antifungal therapy when appropriate, reduced costs, and reduced fungal resistance, with no negative impact in terms of morbidity or mortality. AFS should be tailored for each institution and health-care system, and should be performed by an experienced and trained multidisciplinary team, based on education, bedside interventions, and daily collaboration with the microbiology department and pharmacy team. Performance measures are needed to evaluate the impact of AFS. It is recommended that AFS be implemented in a stepwise manner, with modest initial goals to enable demonstration of success in the short term. Encouraging the appropriate use of antifungal drugs should help to decrease the incidence of IFIs, thereby reducing antifungal resistance. Stanzani M, Sassi C, Battista G, Cavo M, Lewis RE. Improved radiographic imaging of invasive fungal disease: the cornerstone to antifungal stewardship in the hematology units? Curr Fungal Infect Rep. 2016. https://doi.org/10.1007/s12281-016-0258-1. Nwankwo L, Periselneris J, Cheong J, Thompson K, Darby P, Leaver N, et al. A prospective real-world study of the impact of an antifungal stewardship program in a tertiary respiratory-medicine setting. Antimicrob Agents Chemother. 2018;62(10). https://doi.org/10.1128/AAC.00402-18.